Customer Satisfaction is what SMB is all about. The key to delivering an outstanding customer service depends on your ability to provide teams and customers with the means and tools to better communicate, collaborate and share. 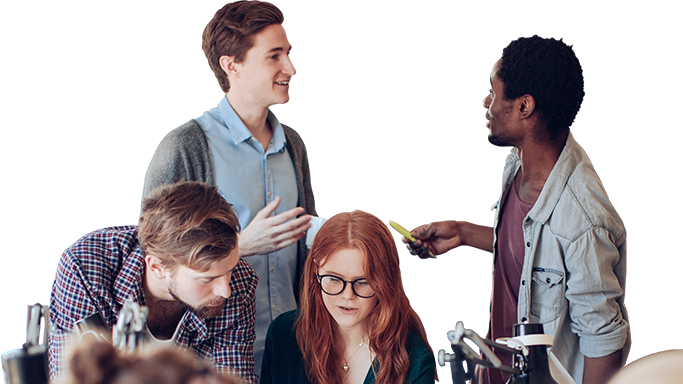 To that end, we provide SMBs with dedicated collaboration, communications, and networking solutions that create an unbeatable digital connected experience that your customers expect. See below how ALE’s solutions connect your teams to partners and customers enabling you to deliver a superior customer experience – the key competitive differentiator in a digital world. 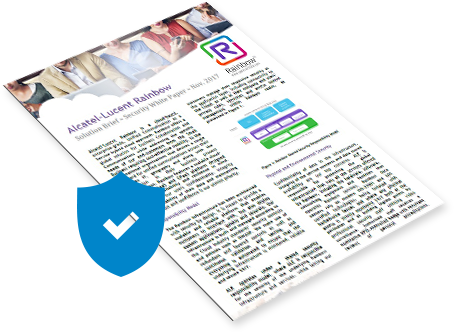 Alcatel-Lucent RainbowThe ultimate collaborative application to connect teams, partners and customers. What’s the value of a Collaboration app? 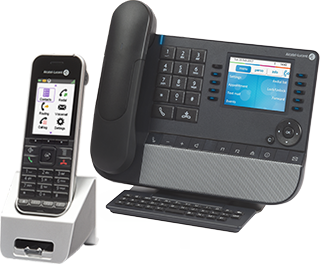 Alcatel-Lucent OXO Connect EvolutionTurning your communications system into your best professional business asset. What are your best business assets? 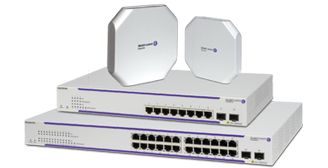 Alcatel-Lucent OmniSwitch and OmniAccess Stellar Access PointsAn affordable, high-performance wired and wireless LAN networking solution that is simple to deploy, operate and maintain. What's the best network for your business? What makes ALE solutions for SMBs highly reliable? We provide an end-to-end solution from the ground to the cloud, so you don’t have to worry about compatibility or integration problems. The entire solution is fully lab-tested and validated: LAN switches, WLAN access points, business phones and handsets as well as collaboration applications work together perfectly from day one. Why is this important? Because your business needs to be always on! Want to know more about SMB solution? Are you interested in our solutions and would like to be contacted? Please provide your contact information below and we will contact you soon. Yes, I would like to receive Alcatel-Lucent Enterprise news and offerings. ALE may provide my contact details to authorized partners and each communication includes an unsubscribe option. ALE USA, Inc. | 26801 West Agoura Rd. | Calabasas, CA 91301, USA. It’s proven: Video conversations make meetings shorter and decision-making faster. 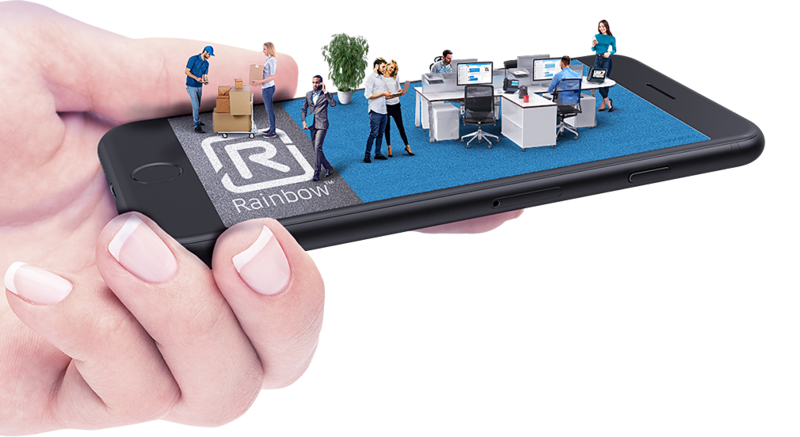 Rainbow makes team meetings more impactful allowing participants, at the office or remote, to join, share screens and launch an audio or video call in a few clicks. Want to try Rainbow with your collaborators and video chat? As per IDC, half of SMBs worldwide will have mobile worker support in place by the end of 2018. Teams are becoming increasingly mobile. The cloud enables sales representatives and field engineers to get the same experience they have at their desks from their laptop or smartphone. 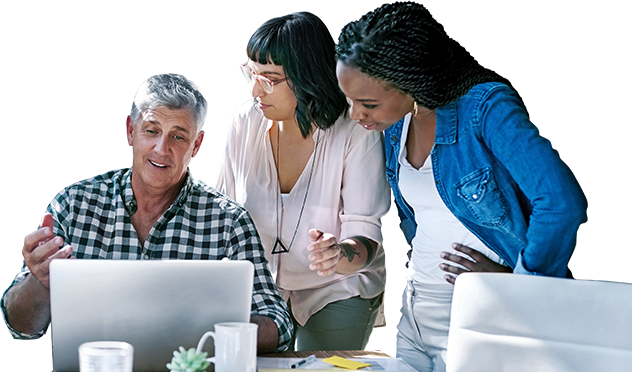 With almost 100 years’ experience serving Enterprises and SMB organizations, Alcatel-Lucent Enterprise understands how your intellectual property is mission-critical. Therefore, all Rainbow communications are encrypted and data are never shared for commercial purposes. Rainbow datacenters are in privacy-conscious countries. Want to know more on Rainbow security ? 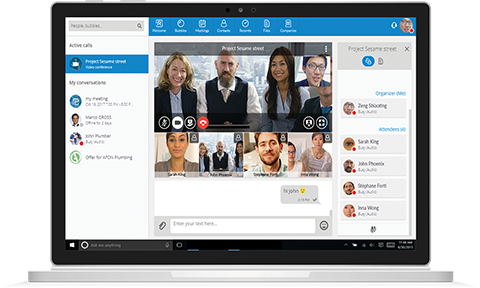 Extend your business communications with Rainbow’s screen sharing and video. It’s easy! Turning your communications system into your best professional business value and asset. 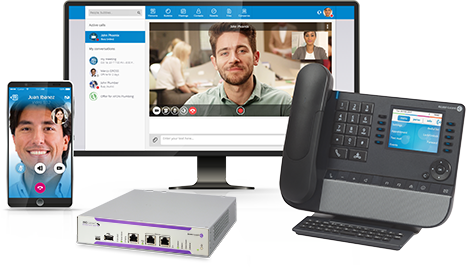 Alcatel-Lucent OXO Connect Evolution is a complete phone system within an optimized IP appliance for businesses with up to 300 users. 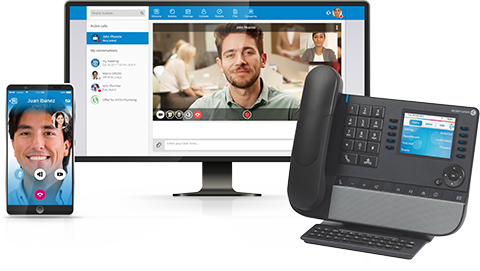 OXO Connect Evolution offers a unique, built-in access to the cloud-based, Alcatel-Lucent Rainbow collaboration service. This way, all your teams are connected wherever they are at the office or on-the-go to better serve your customers. 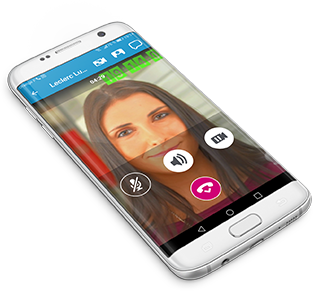 Helps your teams deliver outstanding customer experience using intuitive business phones offering excellent quality interactions. Want to know more but only have two minutes? Scalable communications. Your communication solution will grow with your business. But HOW? New hires, new branch offices, or new facilities? 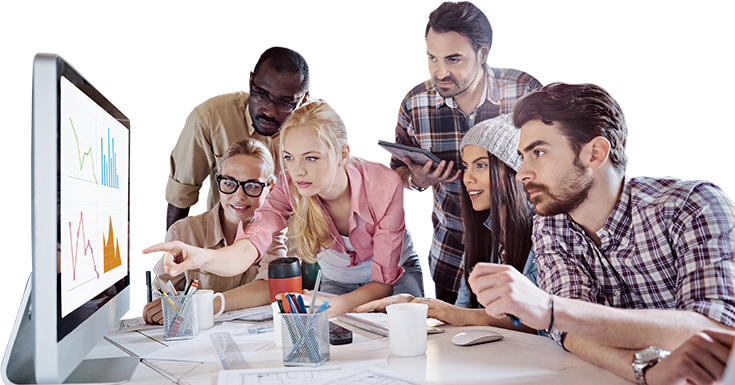 Our communication solution connects from 5 to 300 employees. Teams are instantly connected via the Rainbow cloud. They’ll benefit from the latest mobility and video collaboration features from the cloud. Our mobility and collaboration capabilities are offered as cloud subscriptions per user and per month. Benefit from them instantly and optimize your costs as there’s no exit fee. Improving internal and external interactions are critical to delivering a better customer experience. Your data network is the critical foundation that supports your business communications and applications. Keep your office connected. Faster speeds. Power over Ethernet. Wi-Fi everywhere. Security. IT simplicity. Low TCO. SMBs need simple, affordable and smart network infrastructure. Alcatel-Lucent Enterprise addresses this market with a comprehensive solution for both wired (LAN) and wireless (Wi-Fi) networking. The ALE network solution for SMBs includes high-performance fixed Gigabit Ethernet switches, as well as Wi-Fi equipment based on the latest 802.11 ac wave 2, enabling high-speed wired and wireless networking, providing a solid foundation to support your business communications and applications. Dive in and discover the right network solutions for your business! Want to hear more from a customer? View how Kreativ House’s new scalable network solution offers easy-to-access and reliable WiFi to tenants and guests. Simple, secure and smart business network at affordable prices. Allows you to achieve a reliable enterprise class network including security without paying for advanced network management features. These switches are a lower-priced alternatives to managed switches for wired connectivity while maintaining performance, quality of service (QoS) and scalability using a simplified web management interface. Fixed configuration GigE stackable LAN switches. Create the high-performance network you need for your small business. These switches excel at delivering bandwidth intensive applications while consuming very little power. Their network capabilities include advanced security, quality of service, and like all our enterprise switches, they're simple to deploy, configure and manage. Enterprise-wide mobile connectivity is no longer optional. It’s business critical. But that’s no excuse for it to be costly and complex. The Alcatel-Lucent OmniAccess Stellar WLAN solution is built and designed using unique architecture automation and intelligence to make Wi-Fi a less demanding technology to configure and deploy. Low-TCO, hardworking Wi-Fi where everything connects. Quickly, simply, and securely. Now and for the future.